Here's your weekly dose of weird, true and funny news from around the world. Competitive eater Joey Chestnut has won a turkey-eating contest in Connecticut, setting a record by devouring an entire bird. Ten contestants vied to see who could eat the most of a 20-pound turkey in a competition Saturday at Foxwoods Resort Casino in Ledyard, Connecticut. Chestnut ate nine-point-35 pounds of meat off the bone in 10 minutes. According to Major League Eating, the food equivalent of the NFL, he bested the previous record, which was held by Sonya Thomas, who ate five-point-25 pounds of turkey in November 2011. 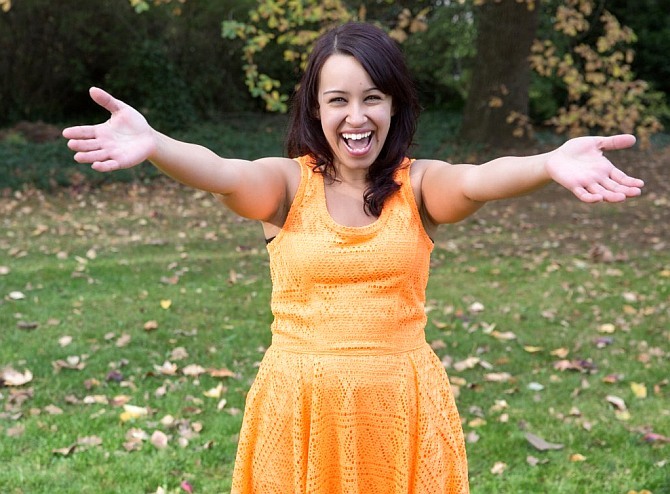 Chestnut, a San Jose, California, resident is ranked the top competitive eater in the world. He took home a $5000 (over Rs 3 lakh) cheque after stuffing his face with turkey. The remainder of the $10,000 (over Rs 6 lakh) purse was divided among other contestants. A new study has revealed that restroom hand dryers spread more bacteria than paper towels into the air, on to users and bystanders. Research at the University of Leeds found that air bacterial counts were nearly 30 per cent higher around driers when compared with paper towel dispensers, the Daily Express reported. According to the research, airborne germ counts close to jet air driers were found to be 4.5 times higher than around warm air driers and 27 times higher compared with the air when using paper towels. 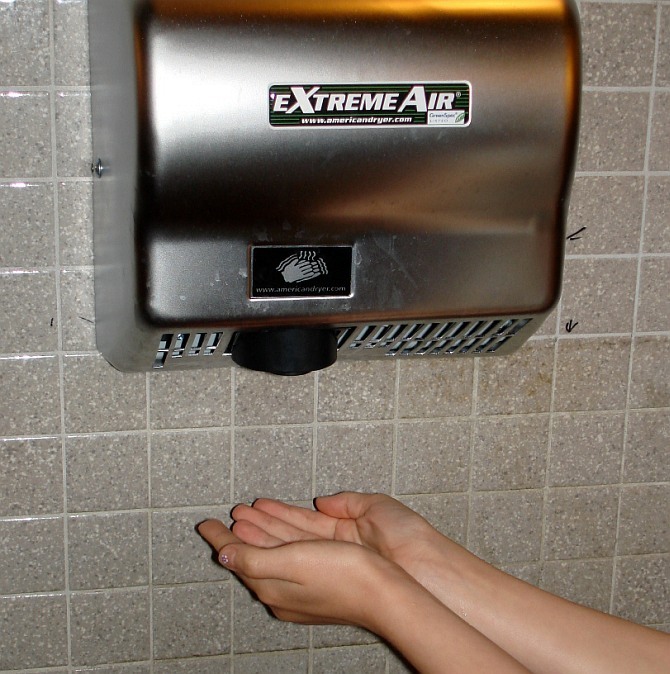 Lead author Mark said that bacteria was more prevalent around both high-powered "jet-air" and warm hand driers and these driers are effective at drying hands but when a cursory male hand wash is done, there is likely to still be a high bacteria count on hands. This woman charges over Rs 3700 for an hour-long cuddle! A woman in Portland, Oregon has opened a professional cuddling shop, where she charges customers $60 (over Rs 3700) for a cuddle. Professional cuddler Samantha Hess gives customers an hour's worth of spooning and "the level of human contact that we want or need in order to be our optimal selves," the Independent reported. Business at 'Cuddle Up To Me' has taken off that provides hair strokes, hand-holding and a plethora of different cuddle positions and Hess has gotten as many as 10,000 emails in a week. 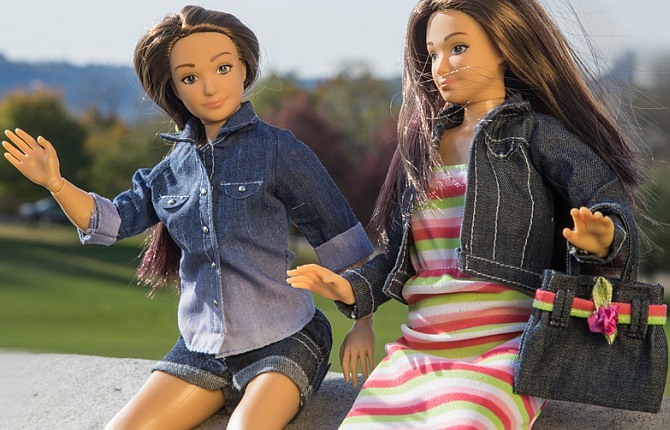 A designer has come up with a so-called "realistic" fashion doll, which promotes a healthy body image with accessories that give her acne, cellulite, freckles, stretch marks, broken bones and much more. Nickolay Lamm , designer of the doll named Lammily, said that it emulates an average 19-year-old American woman, and hopes that the sticker accessories will show that playtime doesn't need to give children an unrealistic expectation about life or about their body image, Mashable reported. Lamm also shows the stark difference between Lammily and Barbie by using Photoshop to make her look more like a traditional fashion doll in another video on Lammily's YouTube channel and said that real life isn't perfect, but it's all we have, and it's fun and it's awesome. The world's tallest rollercoaster has been unveiled that reaches a height of 570ft and travel at speeds of up to 65mph. 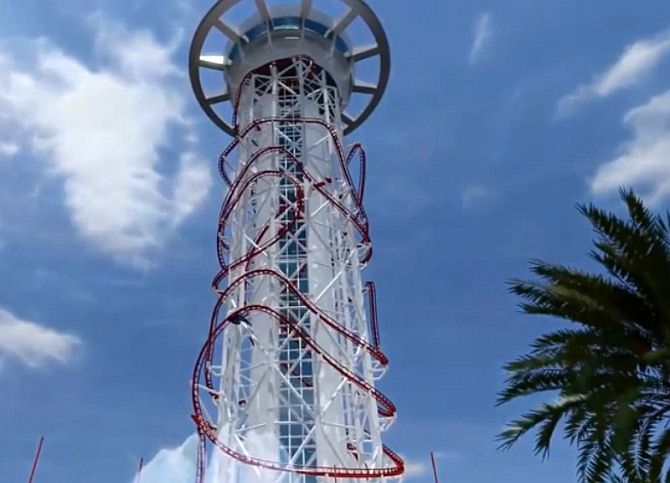 A stomach-churning four-minute computer animated video giving a first-hand taster of the US ride has been released by Orlando-based US Thrill Rides, revealing how thrill-seekers will board the ride inside the Skyplex complex before climbing a huge tower, the Mirror reported. After the ride reaches it's highest point, it then begins its incredible descent to the ground with the film giving an on-board perspective as passengers are thrown through dozens of twists, loops and spirals. Bill Kitchen, founder of US Thrill Rides, said that the unique design of the coaster means more incredible, heart-pounding inside and outside loops, dives, spirals and inversions in a vertical area than riders have ever before experienced and the skyscraper will not only take riders higher than ever before, but also introduce one thrill right after the next - there's no 'down time' on this four-minute coaster experience. The word 'Vape' has been recently announced as the international word of the year 2014 by the Oxford Dictionaries. 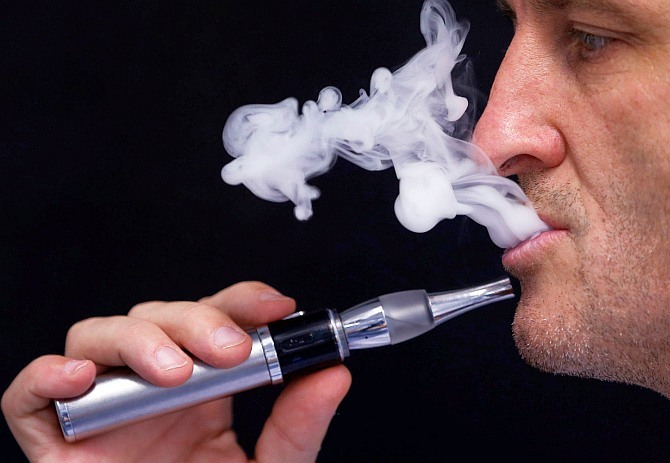 When used as a verb vape means inhaling and exhaling the vapour produced by e-cigarettes , while it can also be used as a noun to refer to the devices themselves, the Mirror reported. Language research found that the use of the word vape has more than doubled in 2014 compared to 2013. Associated phrases have also developed including vape pen and vape shop, while the "retronym" phrase tobacco cigarette has even begun to resurface in order to draw a distinction between traditional cigarettes and electronic devices. Judy Pearsall, editorial director for Oxford Dictionaries, said that as vaping has gone mainstream, with celebrities from Lindsay Lohan to Barry Manilow giving it a go, and with growing public debate on the public dangers and the need for regulation, so the language usage of the word vape and related terms in 2014 has shown a marked increase. The word of the year does not need to have been coined in the last year but must have become prominent or notable during that time. Vape was added to the website OxfordDictionaries.com in August 2014 and is currently being considered for inclusion in future editions of the official Oxford English Dictionary. 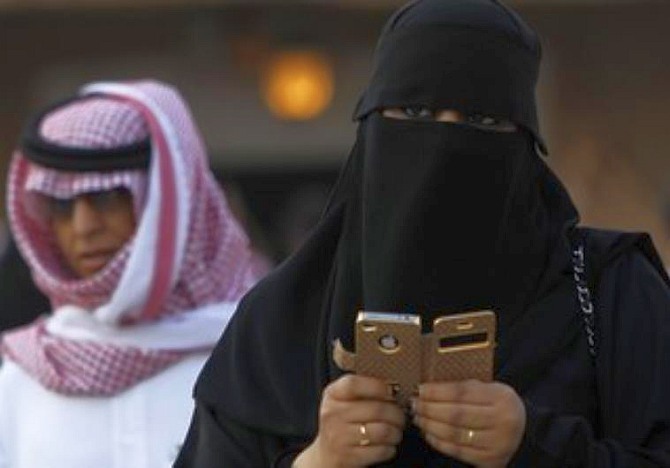 A man from Saudi recently divorced his wife for ignoring his messages on Whatsapp despite being an avid smartphone user. According to local news site Al Weam, the husband, who is in his 30s, said that his wife spent most of her time on the phone to the point that she neglected looking after their home and taking care of their child, the Telegraph reported. The man sent her messages on Whatsapp and knew she had read them because of the latest update on the application. The husband decided to divorce his wife answered that she was too busy talking with her friend to answer his calls or his messages. A group of Canadian programmers is developing a video game that draws actual blood from the gamers when their character loses blood in the game. This may seem like high stakes for a fantasy realm, but Blood Sport creators Jamie Umpherson and Taran Chadha aren't doing it to make the game sadistic. They plan to use the technology to encourage gamers to donate blood. They even envision one day hosting video game tournaments at blood banks, the New York Times reported. 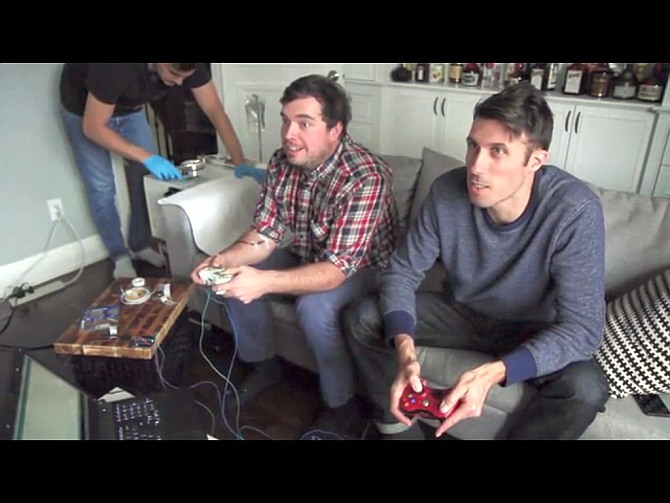 The project's video showed a prototype in action, made in part from a rumbling gaming controller that signals when an in-game character takes damage, which in turn triggers a blood draw. Blood Sport wanted to build a two-player system and create a gaming experience that would add a new sporting dimension to blood drives. "We are simply creating the gaming hardware that will allow us to get gamers thinking about more important issues while still doing what they love," the organizers said on their now-suspended Kickstarter page. The fund-raising campaign sought to raise $250,000 to develop a two-player system that can travel around the country. But the crowdfunding website suspended the project Monday. "We genuinely want to bring attention to and help blood donation in Canada with our project if we can," Blood Sport co-founder Taran Chadha told CNET. 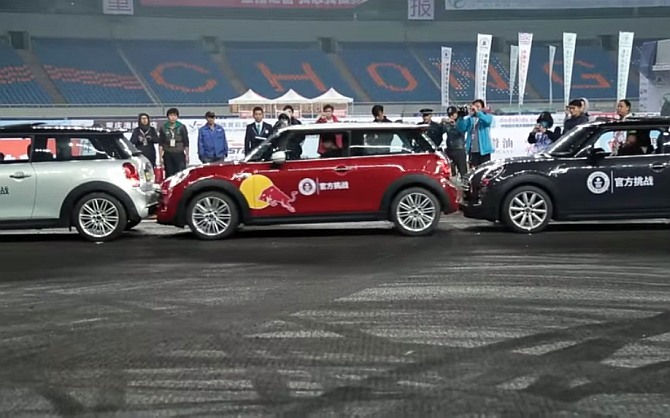 Han Yue, a Chinese stunt driver, broke the Guinness World Record for tightest parallel parking last week, using a MINI 3 Door Hatch during the China Drift Championship held in Chongqing, China. Yue squeezed his car in between two other Minis with 8cm separating him from both. And before you go thinking this took a lot of very precise reversing and angling, no, Han spun the car into place like an absolute mad man. Han beat the previous record of 8.6cm which experts had thought unbeatable. 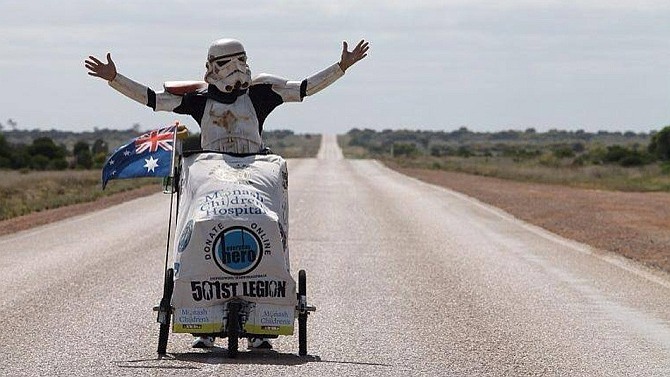 Scott Loxley has been walking across Australia for more than one year, alone, dressed as a Star Wars Stormtrooper. He has gone through more than 20 pairs of shoes, eaten roadkill and slept in a swag by the side of the road. The 47-year-old father-of-three left his new wife and family in Melbourne on November 2, 2013, with an aim to cover 15,000 kilometres on foot, non-stop and with no support crew, Mashable reported, adding that so far he has walked 9,000 km, and with roughly 6,000km left, he won't be home until July next year. Loxley is a member of the 501st Legion, a volunteering group that dedicates itself to supporting children's charities by dressing up in Star Wars costumes. His massive feat is in support of the new Monash Children's Hospital in Melbourne: He hopes to raise 100,000 Australian Dollars (over Rs 52 lakh) before it opens in 2016. So far he is one-fifth of the way, raising more than 22,000 Australian Dollars (over Rs 11.5 lakh).